The 5 Continents Drive has been introduced to help everyone at Toyota to develop vehicles that excite the customers and exceed their expectations. The seven-year project of unparalleled scale that has the power to unite all of Toyota’s 370,000 members around the world, has now covered four of the world’s continents, since its launch in 2014. Throughout the drive, 19 members consisting of Toyota and Ebrahim K. Kanoo employees covered a distance of around 101 kilometers across Bahrain. 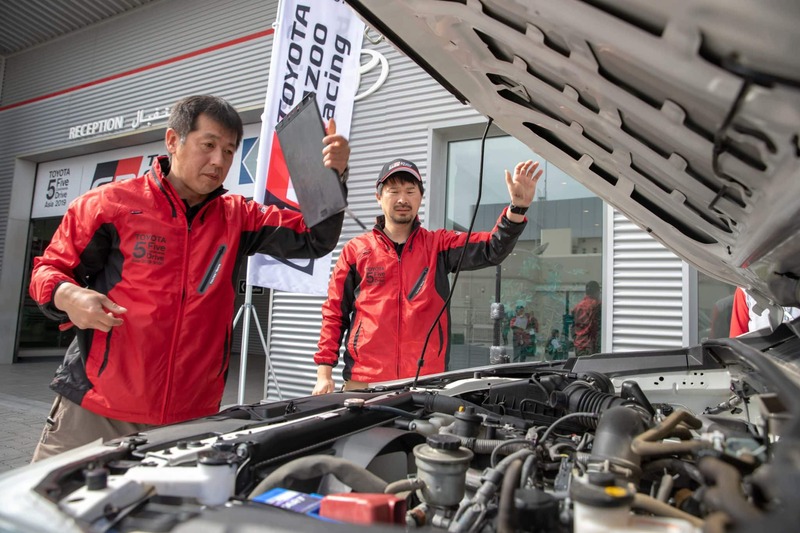 The team’s itinerary included driving across the country’s diverse and wide-ranging roads while experiencing first-hand the harsh conditions in which vehicles are used daily by Toyota’s customers. “Roads train people, and people make cars”; that ethos has been the backbone of the 5 Continents Drive project. It is about enabling employees to get out from behind their work stations to feel the road, to experience first-hand how vehicle performance is impacted by the wide variety of driving conditions around the world and to gather new insights. By connecting with customers in a meaningful way and listening to their feedback, Toyota can better understand their needs and usage patterns. 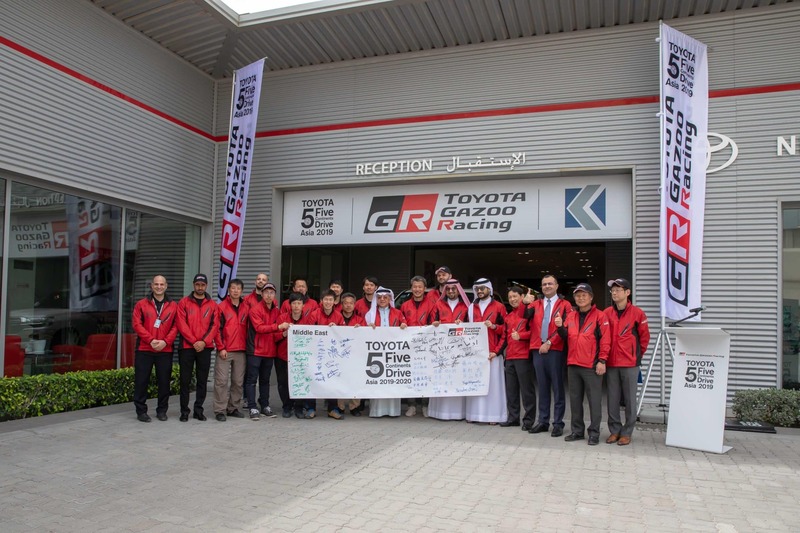 “We are thrilled that the 5 Continents Drive embarked on a journey of discovery in Bahrain,” commented Senior Manager of Toyota Marketing at Ebrahim K. Kanoo; Mr. Ayman Shehadeh. 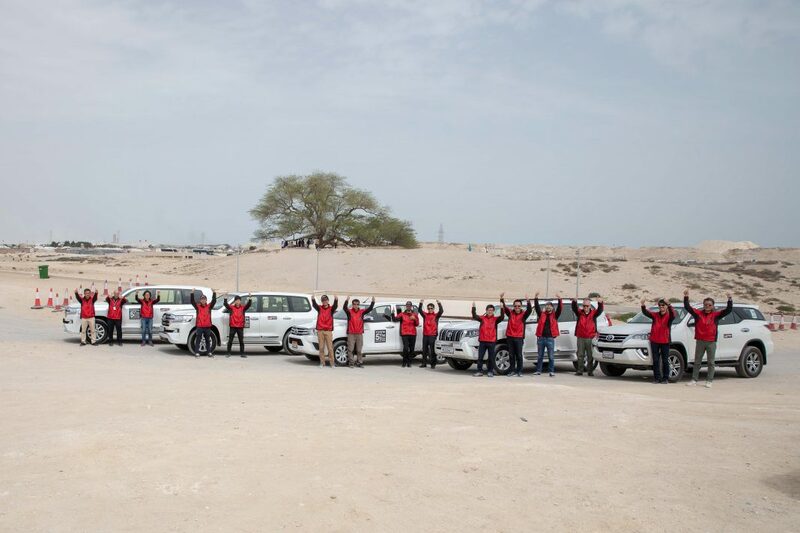 “By experiencing the unique culture, climate, and harsh conditions in which Toyota’s vehicles are used, the drive enabled the team members to gather insights into the value of Quality, Durability, and Reliability (QDR), which Toyota’s vehicles are famous for, and elevate it to the next level. Our customers have remained an abundant source of inspiration for Toyota’s pursuit of creating better, cleaner and safer vehicles, and we cannot thank them enough for their continued support,” added Mr. Shehadeh. Reinforcing motorsports’ pivotal role in the development of future vehicles, the 5 Continents Drive project is being run under the TOYOTA GAZOO Racing umbrella, the global brand for Toyota’s motorsport operations. Kiichiro Toyoda, the founder of Toyota, once said that motorsports are vital to the evolution of car making and the entire auto industry. This belief has been passed down over the generations and embodied most recently as TOYOTA GAZOO Racing. It represents the company’s commitment to overcoming every limit in the pursuit of creating ‘ever-better’ cars through motorsports. The learnings and insights gathered at the very limits of performance are transferred into benefits for everyday driving. The long-term continuous human resources development project commenced in Australia in 2014, then moved to North America in 2015, Latin America in 2016, Europe in 2017, and Africa in 2018. Since the project started, 556 members from inside and outside Japan have covered a total of 99,600 kilometers over a period of 399 days. The project sees the Olympic and Paralympic Games Tokyo 2020 as a milestone, and will endeavor to continue its activities until this major event takes place.